Dayboro is a small dairying community located approximately one hour's drive north of Brisbane, situated in a valley with a township of approximately 2000 people. 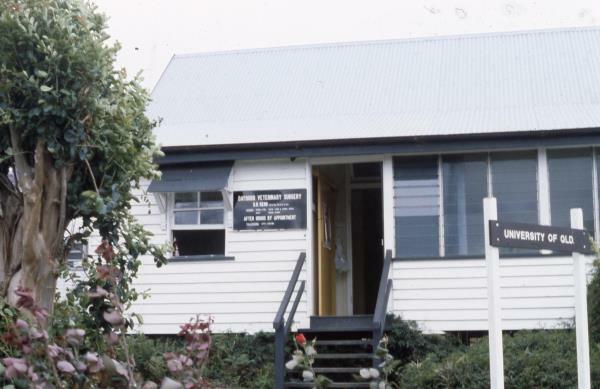 The University of Queensland has been a part of the Dayboro community since the purchase of the Dayboro Veterinary Surgery in 1987. Operating from a building of historical significance to the Dayboro community, the clinic provided Veterinary Science students with a large animal clinical teaching experience, and delivered the Dayboro community and surrounds a quality in-house and ambulatory veterinary service. In 2013, The University completed construction of a new building and facilities to continue servicing the changing needs of our students and the local Dayboro community. Our clinic offers a full range of veterinary services and quality care for dogs, cats, horses, cows, alpacas and goats, in fact all small and large animals. Our dedicated team of veterinarians, nurses and support staff are here for you 24 hours a day, seven day a week and pride ourselves on our high level of compassionate veterinary care. The new UQ Vets Dayboro facilities will continue the tradition that began in 1987, to provide a high quality level of veterinary service to clients and to allow students to develop their skills and integrate the knowledge required to practice as veterinarians. The $2.4m investment in a new clinic at Dayboro augments the training gained by students at the UQ Gatton campus. UQ Vets Dayboro is a ‘transition to practice’ venue where students engage in the reality of commercial practice. Students live on-site with excellent opportunities for hands-on involvement in small and large animal cases. This training, together with experiencing life in a small country town, provides the incentive and skills for UQ students to enter a career in rural veterinary practice. Don Kerr established the Pine Valley Veterinary Clinic in early 1976. 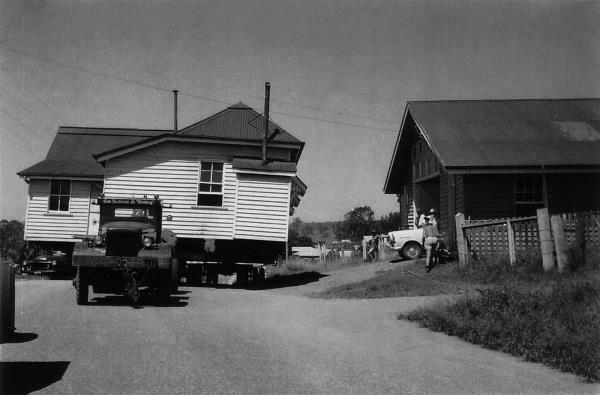 The old Dayboro police stationin 1961 being moved up Mckenzie Street to become initially the slaughtermans house and then later the veterinary clinic and house. The clinic was purchased by the University of Qld Veterinary School in May 1987 to help expose final year students to real mixed practice and inparticular dairy cattle practice. Don Kerr continued on as superintendent until his premature death in 1992.